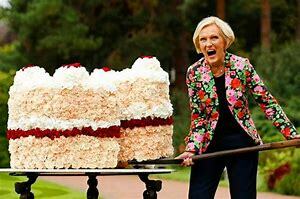 So TV chef, Mary Berry has finally admitted it, like the rest of us, she throws all the raw ingredients for cake making together in one bowl before whisking. Gone is the traditional method of 'creaming' - a long-standing stage of cake-making where the butter and sugar are carefully mixed together before being folded into the flour. I put it down to the increasing use of food processors to mix the ingredients for cake making. Most of us now have elaborate mixers that take the hard work out of cake making and the cakes taste exactly the same. Sadly Mary Berry doesn't cite technology as her reason for ditching the classic sponge making method, simply admitting that it was 'too much fuss'. However, she has angered the so-called puritanical cooks, whoever they are. Speaking about her no-fuss approach, Mary is quoted in the press as saying that cakes, tea breads and biscuits can all be made quickly with the minimum of fuss and trouble. She says that her all-in-one method gives excellent results every time. Hardly, 'your method', Mary? The 83 year old TV celebrity chef also claims that people are put off cake making because 'it is such a business, all that creaming of butter and sugar' Who are you kidding, Mrs Berry, it's got little to do with that! 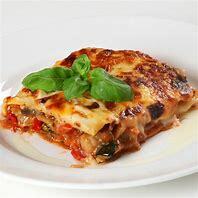 Very few folk make cakes these days, preferring to watch TV shows, like yours, where amateur cooks have more disasters in 30 minutes than the average human has had in a lifetime. And when we do turn our hand to a Victoria Sponge, its the food processor that takes all the 'business' out of it!